So many cards and so little time! 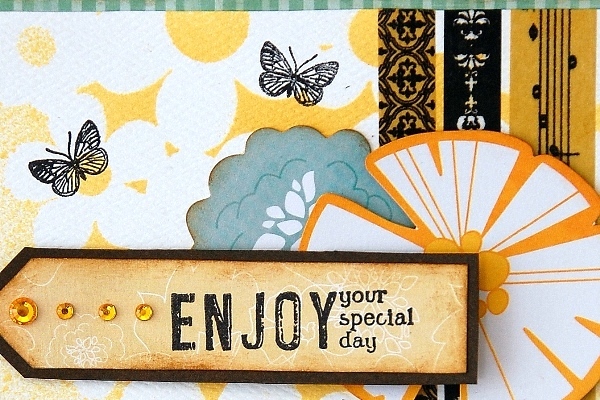 BoBunny Washi Tape is perfect to create a beautiful and well put together card! 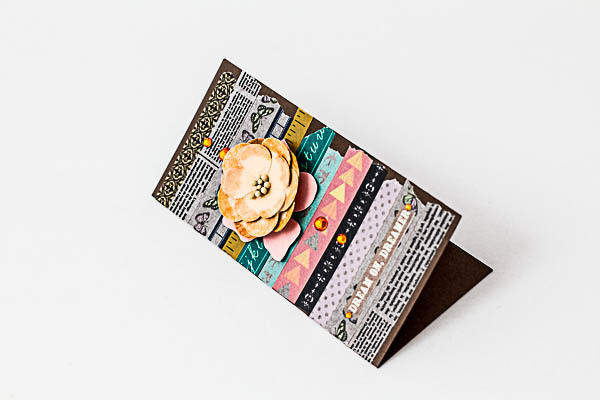 For this assignment, I tried to create a simple and elegant card using the washi tapes. I've chosen to use the beautiful black and white patterned with the kraft patterned washi tapes. 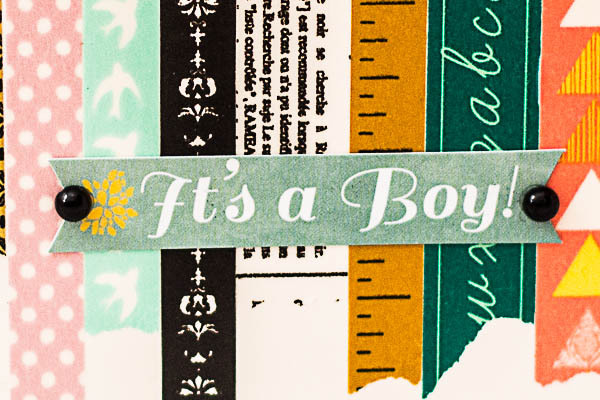 To create this card, I've used the "Baby Bump" collection. 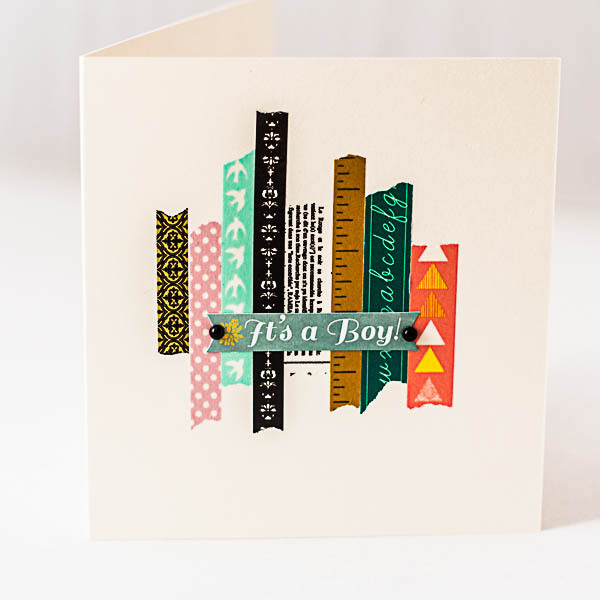 For this second card, I tried to keep it clean and simple with a spark of colors using washi tapes, paints and noteworthy. I wanted to make a card in C&S style . I used a minimum of materials and refused the habitual medias. 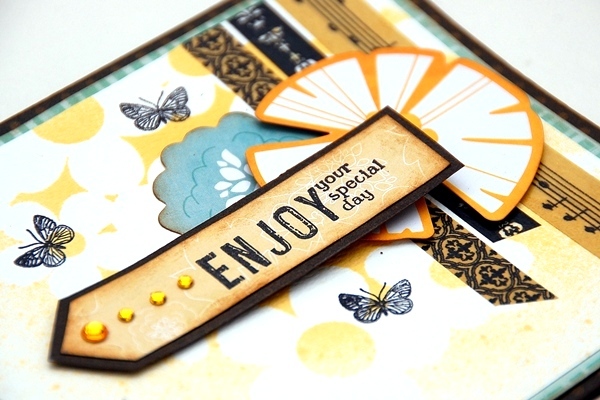 Here is the C&S style card again.The background is made with only BB washi. 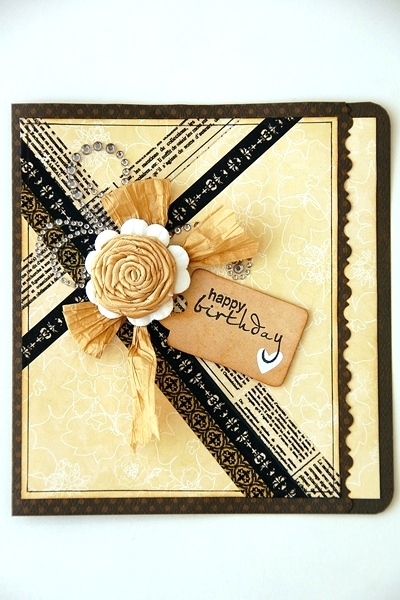 But for the contrast to the previous card here I added 2 flowers and shiny rhinestones. 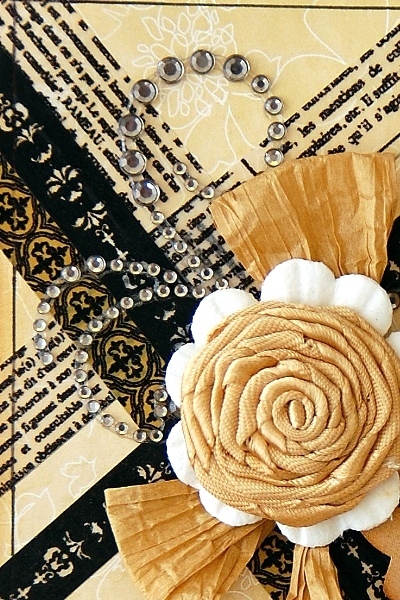 Sometimes even patterned paper is not necessary if you have some tape! Wow, these cards are truly gorgeous! 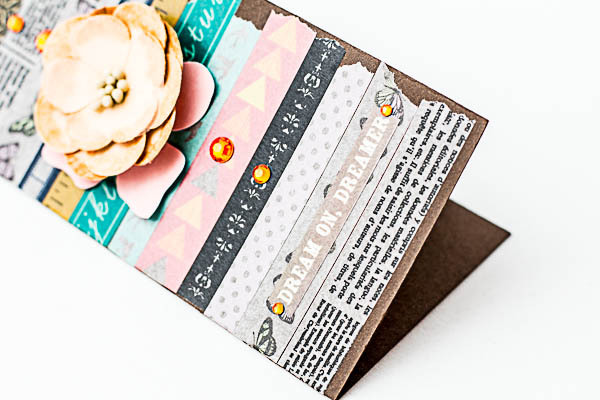 You prove that one doesn't need much more than washi tape to create a really pretty card! 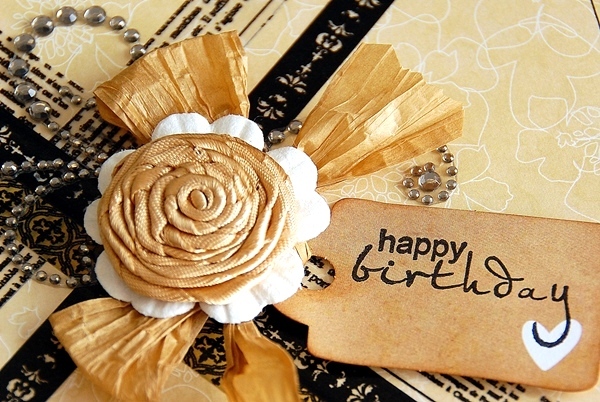 The 1st card reminds me of a wrapped gift! It would be a great card in which to give a gift card!